Is Performance-Based Contracting a profitable part of your business? Have you had some success but want more? It's hard to build a home without a blueprint even if you have all the right skills and materials. 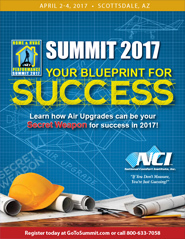 Over a hundedred of the top contractors throughout the USA and Canada joined us at Summit 2017 to customized their personal blueprint for success with Airflow Upgrades. They got the plans and tools to sell and deliver these important solutions to their customers. This first step is your secret weapon to make Performance-Based Contracting the Cornerstone of your business. This year's panel focused on implementing Air Upgrades in your business. Each panelist shared their successes and how they overcame obstacles to making this approach part of their culture. This long-standing tradition is one of the highlights of every Summit. Join us in honoring the best of the best NCI members. You never know - you may be one of them. This year attendees will travel through each of six workshops in groups so they get a chance to attend every session. Learn how ComfortMaxx Air™ can capture critical system vital statistics and generate easily understood solutions that don't require high pressure sales. After the sale and solutions are applied, ComfortMaxx Air verifies your work – something few competitors can do! Presented by Contractor John Boylan and NCI's David Richardson. If you don't gather the information, system defects remain invisible and you cannot sell needed system upgrades. This duo will demonstrate to turn static pressure readings into current and future leads. Presented by Contractor Will Horner and NCI's Brad Higgins. This exciting new product can be applied by contracting firms of any size, using service technicians, selling technicians, or salespeople — you decide how it best fits in your company! Learn how to apply renovation options — one piece at a time — using Air Upgrades as an initial step to solve customer comfort concerns. Presented by Contractor Don Steward and NCI's John Puryear. 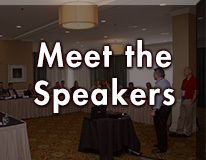 This session will focus on how to install the most effective Air Upgrades to overcome fan airflow obstacles. Learn how to recognize and fix system defects including restrictions caused by poor installation practices, high pressure drop coils and filters, undersized duct systems, and inadequate fan capacity. Learn how to create a scope of work so your Air Upgrades achieve maximum results. Learn how to build an enthusiastic culture of testing, starting with leadership and continuing throughout the entire company. With the info from this workshop, you can build a fire within your company that will lead to a generation of passionate leaders at every level. Presented by Contractor Mike Greany and NCI's Rob Falke. This workshop will focus on providing you tips on how to price, propose, and close more Air Upgrade sales and achieve year-round profitability. Add Air Upgrades to your proposals and installation schedules. 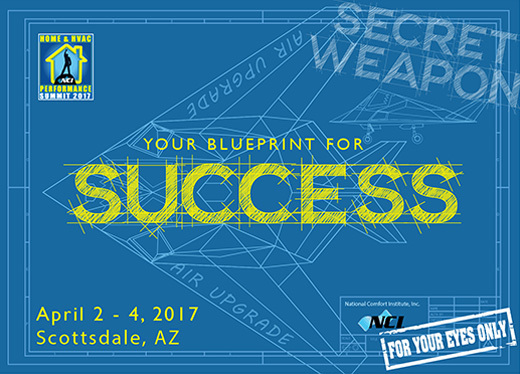 BONUS: Learn how to price your work more accurately and profitably using NCI's exclusive Air Upgrade Price Calculator. 2:30 - 4:45 PM Idea Meetings: Lead Generation, Sales, Product Delivery - Now Open to All!